For those moving, the process can be overwhelming, but it’s even more so if you’re traveling with pets. For cat owners, making the big move needs to be done with consideration about the health and safety of your furry one with things like a proper pet carrier and trying to keep up feeding routines. Your cats will find a move stressful, but you can make it a calm experience by using a few strategies. 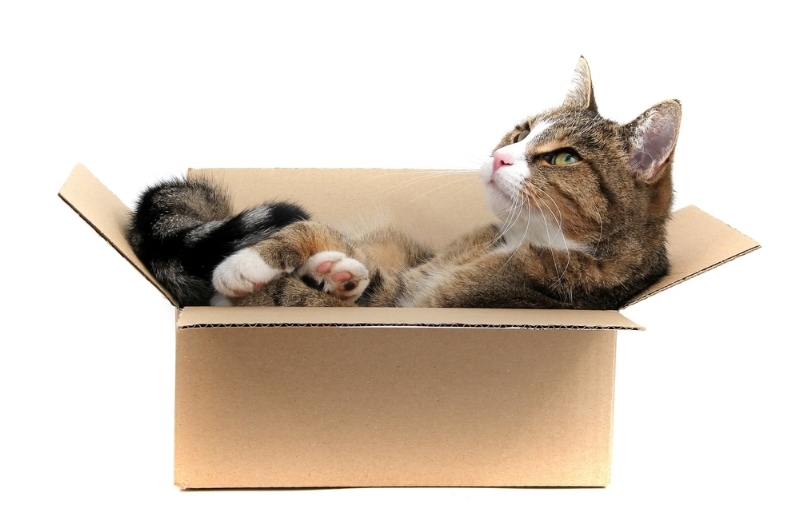 Take a look at these 7 tips for moving with cats. The simplest way to make a smooth move with cats is to maintain your current routines. This means that your feeding schedule remains unchanged, habits throughout the day continue, and you maintain the same level of attention you normally would. When your cat notices even the slightest of alterations in the routine or their surroundings, they will start to get stressed. Even if things change on a moving day with the feedings or playtimes, you can maintain the routine every day before then for the best results. Your cat will be looking to you for guidance and reassurance. Be sure to keep your cat calm by being the constant they need during all of this change. Be sure to speak to your cat, keep strangers away from him or her, and keep a calm demeanor around the cat as to not frighten your cat further. This means that no use of a distressed tone of voice or allowing your moving company to pet the cat when he or she is easily frightened. You’ll want to start training your furry ones to get used to a pet carrier now. Cats need a little more security and protection during a move compared to dogs, which makes a pet carrier the perfect solution. Make sure it’s large enough that your pet can stand, lie down, and turn around easily. Make sure it’s made of solid materials like plastic or metal, you can latch the door, and that it has plenty of ventilation. Having them in a box is cute, but definitely not safe for your fur baby. A checkup with the vet before your move is a great idea. You’ll want to ensure your cat is in great health and can handle a long drive or flight. Get a medical check-up, a copy of your cat’s vet records, and ask for any tips from your vet about how to keep your cat happy and healthy for the move. On the day of the move, you’ll want to make it a smooth transition. You can want to have a friend or neighbor keep your pet during the day or designate a room where your cat can have distance from all of the moving activity that no one will enter. Your cat may want to retreat to the pet carrier for safety. Have a bag of essentials in the car like water, a favorite blanket, and food. Some anti-anxiety medicine from your vet may come in handy. Once you’ve arrived to your new home, make a designated room for your cat to acclimate with familiar food, toys, a bed, and a litter box. Once your cat has gotten used to the room, it will be a better experience allowing your cat into the rest of the house. Lastly, watch for signs of feline depression. If your cat’s behavior includes aggression, excessive sleep, or loss of appetite, these may be signs that your cat has feline depression. Talk to your new vet about the symptoms and consider a pet-sitter for when you’re away. Don’t worry so much about your upcoming moving day with your furry little ones. After you’ve hired the moving crew to handle your family’s belongings, take these steps to ensure your cat will have a successful moving experience too.